What are Creative Inquiry Projects? 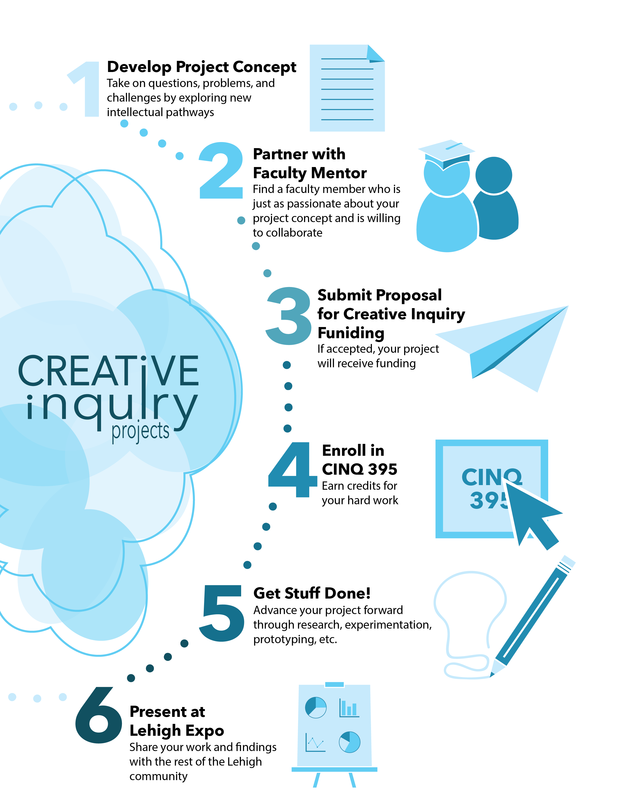 Creative Inquiry Projects are independent or small-group interdisciplinary projects that take on questions and challenges that emerge from student's own curiosity, from problems presented by professors, or from compelling needs expressed by local and global partners. Faculty and subject matter experts provide mentoring support as students take radical ownership in their projects and take the risks necessary to solve problems and get answers. Students increase their capacities for independent inquiry and discovery while project outcomes build up their portfolios. Investigated how to build sand dams more efficiently, and how they can best be disseminated in Kenya and across the developing world. Explored the concept of cryptocurrencies and developed their own Digital Currency Investment Product to provide protection from a possible crash. Connected the general population with the research and data on national and cultural happiness through short, interesting social media videos.